PostScan Mail Operator gives you the ability to scan mail to your customers. Simply use your smartphone to take a picture of the mail and it is automatically cropped to the edges of the envelope or shipping label. Scan Multiple mail items to assign them all at once. 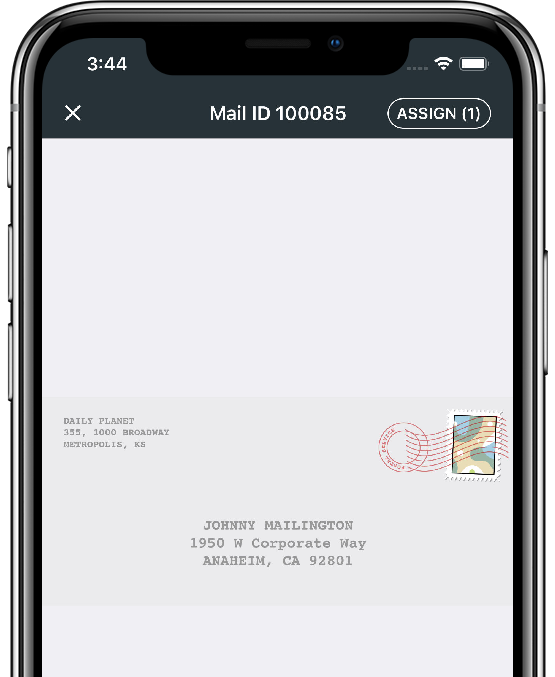 Tap the mail items that belong to a single customer, then enter their name or mailbox number to bulk assign mail to them. Customers will request to have their mail forwarded. Simply enter the shipping cost of the mail item or bundle of mail items and the customer is immediately charged for the shipment. When customers want to see what is in their mail, they will request an “Open & Scan” to see the contents of the selected item. Simply open the envelope, then scan and upload the contents. You can add multiple users through your PostScan Mail Operator account. You can monitor the activity of all your “Operators” and have them handle the requests as they come in. 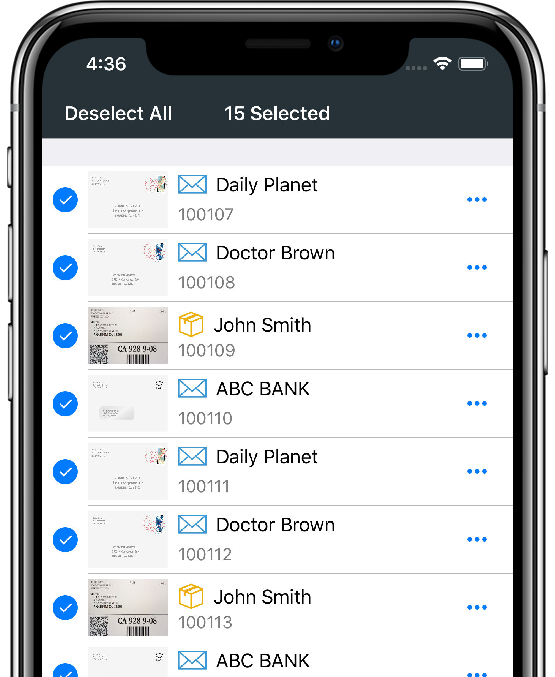 With PostScan Mail Operator, you can manage your customers by looking up their contact information, changing their mailbox number, “Area ID,” and viewing their billing statements.